One of the most popular family vehicles on the road, the new Toyota Camry is a midsize sedan with great trim level options that have brought in lots of big awards — and you can get it affordably near Las Vegas and Boulder City if you decide to take advantage of the generous Toyota Camry lease deals from Findlay Toyota. 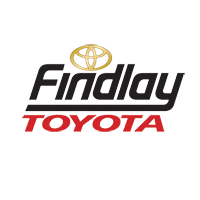 Take out an affordable new Toyota Camry lease with low monthly payments near Las Vegas right now at Findlay Toyota. Got questions? Feel free to contact us today! What Toyota Models Are Built in the US? View New Toyota Models These days, drivers would be excused for having questions about manufacturing on the mind. You may have caught yourself wondering, for example: where are all these Toyotas built? Well, Findlay Toyota wants to give you some important news. In a recent analysis, the Toyota Camry was judged the ‘most American’ vehicle….